Woah. NC QB Matt Bernardis tossed ball 11 yards to Maeson Gallegos, who flipped it to Mark Feraud. 35 yards later = Touchdown. 7-7, 4:32 1Q. 3A: Riverton 15, Powell 7 in Q2. 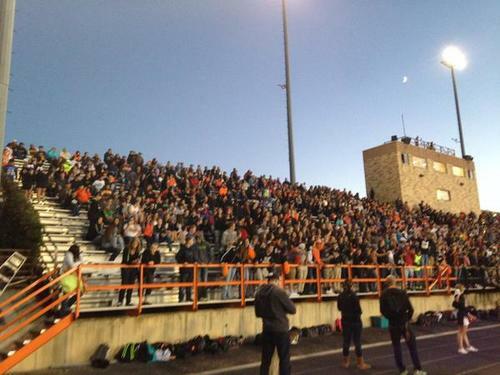 At the end of the first quarter in Casper the Camels and Natrona Mustangs are tied at 7. Mustangs take over after stuffing a run on 4th down. 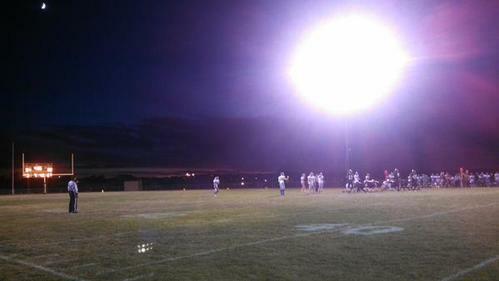 END 3: Sheridan 41 Cheyenne East 0. Another TD for Marc "Big Play" Feraud. He caught a screen pass and ran 58 yards for a TD, his 2nd today and 6th this year. 21-14 Gillette.